Musical Content: Remember that scene in The Blair Witch Project where they find the kid in the basement of an abandoned house just staring into the corner? Well, if that kid turned around with a guitar and played a set, it might sound like Sean Patrick Sullivan. Devil Knows: Selected Demons is packed with material. Weaving through ambient landscapes and simple guitar/vox arrangements, it succeeds in its way. “Wear You Out” takes a tuna can Manchester beat and layers elastic, wispy vocals to great effect. 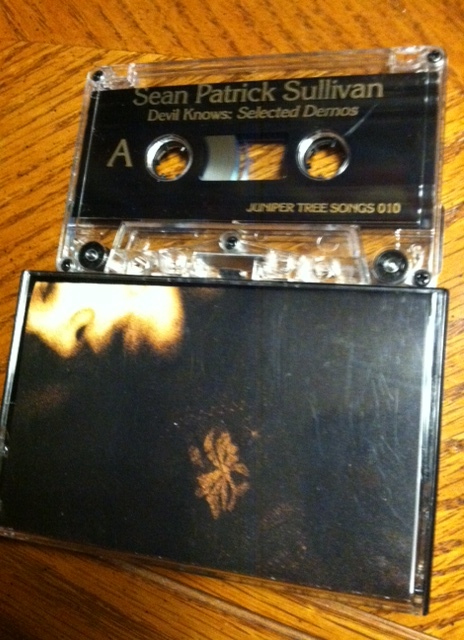 Other selections, like “I Ain’t Ready”, support Sullivan’s odd direction. Look out for a “Psycho Killer” cover that is remarkably friendly. Most transitions from ambient to folk are quite effective. More ambient would be desirable, however, as Side B rolls into a bit of a rut. 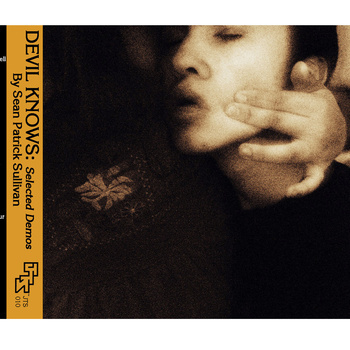 Though if asked for a great example of Goth-Folk, don’t hesitate to offer up Devil Knows. Packaging and Sound Quality: The packaging is quite standard with a clear cassette. Simple imagery on the fold out card accompanies the recording well: sparse, a little emo, and evocative. Sound quality is well within the lo-fi category. There’s a lot of reverb and droning, which surprisingly glues the more acoustic folkish songs to electronic ambiance with aplomb. This entry was posted on April 2, 2014 by zehorhpe in Reviews and tagged ambient, folk, Goth-Folk, lofi.